Television studies must now address a complex environment where change has been vigorous but uneven, and where local and national conditions vary significantly. Globalizing media industries, deregulatory policy regimes, the multiplication, convergence and trade in media formats, the emergence of new content production industries outside the US/UK umbrella, and the fragmentation of media audiences are all changing the nature of television today: its content, its industrial structure and how it is consumed. 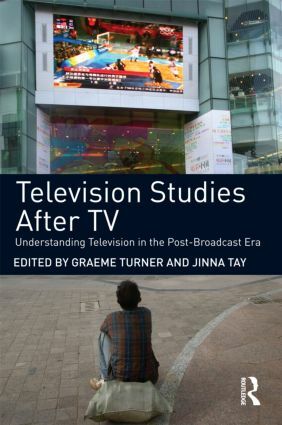 Television Studies after TV leads the way in developing new ways of understanding television in the post-broadcast era. With contributions from leading international scholars, it considers the full range of convergent media now implicated in understanding television, and also focuses on large non-Anglophone markets – such as Asia and Latin America — in order to accurately reflect the wide variety of structures, forms and content which now organise television around the world. Part One What is television? Television and the nation: Does this matter any more? Part Four Television content: what’s on now?